How To Find Out If A Gun Is Stolen? Safe purchases must always be your consideration on every transaction dealing with guns. Suspicions, whether you are buying a clean gun or a stolen one, may come into your mind. Some states may require registration for firearms. Since a national gun database does not exist as of the moment, you may want to know how to check if a gun is stolen. It is best to do this safety check before purchasing a gun from an online market or a gun dealer. But suspicion may come after purchase. This guide will help you through for both situations. Federally licensed gun dealers surprisingly discover that some of their guns are missing upon inventory. Tens of thousands of guns are missing because of theft, undocumented purchases, and neglectful recordkeeping. Regardless of these reasons, missing guns are risky to the public. It may end up on an illegal market with criminals as top customers. Worst case scenario: your private dealer may be one of those illegal market vendors. Another scenario of gun theft is due to owners leaving their guns on their cars. This is the easiest route for thieves to steal guns, especially on unattended cars. With the same endpoint, guns stolen from cars may be illegally marketed. With these things in mind, you must be suspicious when buying guns, especially from private individuals. How To Know If A Gun Is Stolen? Here is a step-by-step instruction that you should follow to verify the gun you have or you are planning to purchase. In every step, use your own judgment to determine the status of your gun. Compare the selling price of the suspicious gun to the manufacturer’s price and other sellers’ price. Verify the integrity of the seller through proof of purchase. 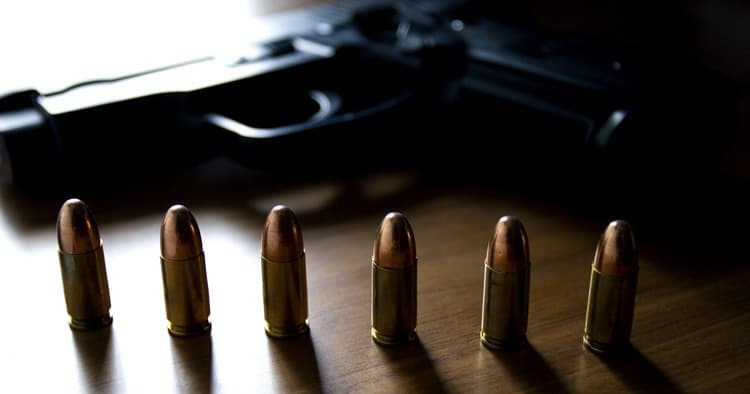 Check online databases and government databases tailored for missing gun reports. Check if your local authority requires firearm registration. As a buyer, you need to make an initial judgment with regards to the selling price of your chosen gun dealer. It is advisable to compare your dealer’s selling price to the manufacturer’s price and other sellers’ price. If the price is close to the manufacturer’s price, you are somehow safe. In case you perceived a big price difference, you need to put extreme caution. Stolen guns are usually sold in the marketplace at an extremely discounted price. Ask your dealer with any justification with regards to the selling price. If the gun is pre-owned, you must consider how long the previous owner possessed it. With this additional detail, compare your dealer’s selling price to other secondhand dealers. Your dealer may also claim that it has slight defects and it needs a little workaround. Your suspicion may not reside in spite of an acceptable or justifiable selling price. Though this may not deal directly with the gun, it helps to verify the integrity of your dealer. Keep this in mind: signed receipts or bill of sale became your solid proof when authorities caught you owning a stolen gun. So always ensure your receipts upon transaction. If the dealer resists on giving you a receipt, then don’t buy the gun! Online organizations and government agencies integrate computerized databases specifically for stolen guns. 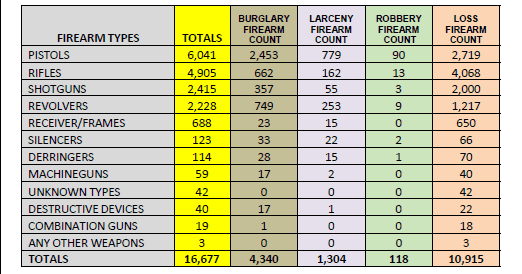 Likewise, the National Crime Information Center (NCIC) accumulates reports from owners with missing guns. Online database search must not be your ultimate step. Professional research still provides better support. Nevertheless, online databases give you a hasty first look. Owners of missing guns use websites to provide a record of their gun’s serial number. Such websites accumulate reports and make it available to the public. Just enter the serial number of your gun on their search section. As of this moment, the most popular online database is HotGunz. It has over 14,000 serial numbers reported as stolen within North America. Also, their service is free to use. If you do not live in North America and do not rely much on online searches, you may coordinate your gun verification through your local law enforcement agency. Contrary to online databases, the computerized database of NCIC is not accessible to the public. Only your local law enforcement agency can help you through their granted access to NCIC. You may also acquire information from your local authority. Some states have a database of stolen guns within their jurisdiction. Such databases may be open to the public through their official websites or may be available on local agencies only. You have the great advantage if you are residing in a state with gun registration. If you live in District of Columbia or Hawaii, your local authority has registers all types of firearms. If you live in New York, your local authority registers handguns only. If you reside in California, only new residents are required to register handguns and other designated firearms. There’s no handgun registration for California residents before January 1, 1998. There’s also no firearm registration before January 1, 2014. So this might be a little tricky when your gun is stolen from a long-time citizen. If you live in Maryland, only new residents are required to register their firearms. Residents since October 1, 2013, must file a firearm registration. 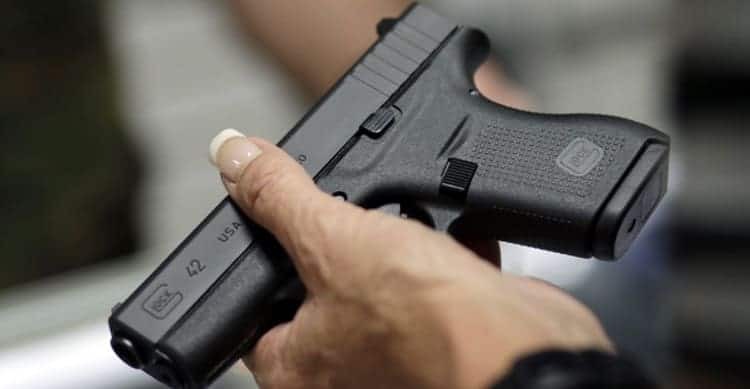 For other residents, they may voluntarily register their firearms. Again, this is a little tricky for gun verification. Assault Weapons manufactured before September 13, 1994, and 50 Caliber Rifles are registered in these states: Connecticut, California, Maryland, Hawaii, New York, and New Jersey. Being precautious is a great approach when buying products, especially from private individuals. Such attitude is also applicable for buying guns. Preventing purchases of stolen guns is always better. But if you already bought one, verification is still a good choice. You may never want to end up on an interrogation with authorities due to possession of stolen guns. If you’ve known or purchased a stolen gun, you better tell the authorities! You have nothing to worry as long as you have a justified evidence.